If you’ve been thinking that the baseball world has seemed rather quiet of late, you’d be right. Since the World Series ended a month ago, there have been relatively few headlines. No major free agents have signed, we have yet to see any big trades, and even personnel changes have been minor. That’s all about to change. The annual Winter Meetings take place Dec. 9–13 in Las Vegas, Nevada. During past years’ meetings, we’ve seen some signings and trades that have been nothing short of seismic: Chris Sale to the Red Sox (2016), Miguel Cabrera to the Tigers (2007), and a surprising three-team trade that brought Max Scherzer and Austin Jackson to Detroit, Curtis Granderson to the Yankees, and Ian Kennedy and Edwin Jackson to the Diamondbacks (2009), to name a few. Those three moves all have some things in common. One, they were big moves that drastically changed the landscape of baseball. Two, they occurred during the offseason Winter Meetings. Three, they were all executed by current Red Sox president of baseball operations Dave Dombrowski. Just saying. So with the MLB appearing rather dormant over the past month, here are some picked-up pieces from around the sport as we wait for the Hot Stove to finally start heating up. Dombrowski is known for striking quickly, and this offseason has been no different. On Nov. 16, the Sox re-signed World Series MVP Steve Pearce to a one-year, $6.25 million contract. After being acquired in June, Pearce provided clutch hitting both off the bench and in the lineup, helping propel Boston to a World Championship. Pearce quickly became a fan favorite, and it was smart of the Sox to secure Pearce for another year. The 2019 Hall of Fame ballot was released last week, and it is stacked. With veterans Edgar Martinez and Fred McGriff, tainted legends Barry Bonds, Sammy Sosa and Roger Clemens, plus an incredibly deep first-year class including Mariano Rivera, Roy Halladay, Todd Helton, Andy Pettitte and others, the voting is bound to be exciting. Rivera offers yet another opportunity for the voters to finally unanimously vote someone in, and the steroids controversy will remain at an all-time high. Plus, the Greek God of Walks, my old favorite Kevin Youkilis, makes his ballot debut. 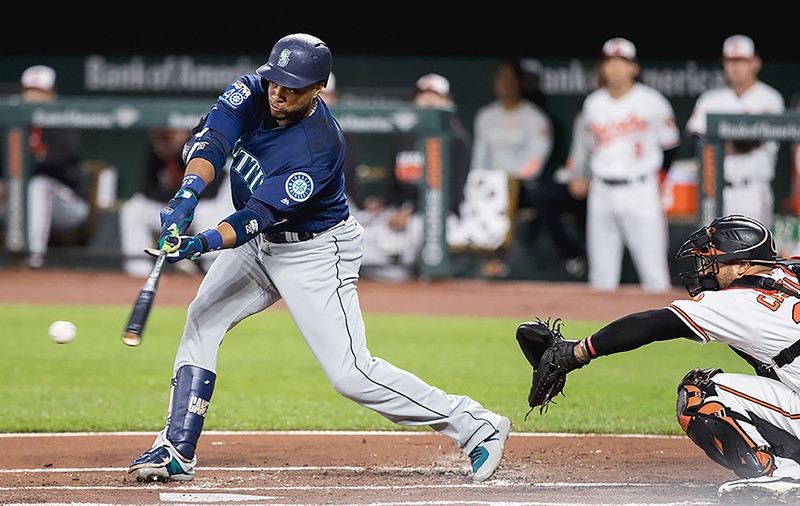 Major League Baseball announced this week a new partnership with MGM Resorts International, making MGM the MLB’s first-ever official gaming and entertainment partner. MGM will now have access to baseball’s official statistics and intellectual property, like team logos, on top of a presence at the All-Star Game and the World Series. To be honest, this recent rise of gambling in professional sports worries me. I believe that official betting can compromise the integrity of the game, expose the sport to conflicts of interest and divert attention and investment from the actual game and its players. We should be hesitant to continue to put price tags on athletes. Not to mention how can MLB Commissioner Rob Manfred announce a multi-year deal with a sports gambling company and then turn around and deny Pete Rose, one of the sport’s best hitters ever, entry into the Hall of Fame for betting on baseball? Though the offseason has been slow, there are some key teams to keep an eye on as the Winter Meetings draw near. The New York Mets appear to be on the verge of acquiring Seattle Mariners second baseman Robinson Cano. There have even been trade rumors surrounding Mets superstar pitcher Noah Syndergaard. The Philadelphia Phillies are perhaps the most intriguing team this offseason. They have been connected to both Bryce Harper and Manny Machado and seem to be primed for a big winter. With 80 wins in 2018, they could be a key breakout team next season. There are also teams like the Yankees, Dodgers and even Red Sox, who can make big moves at any time. Don’t let the slow start to the offseason fool you — big moves are coming. A third team in the National League East, the Atlanta Braves, has already been active this winter, signing third baseman Josh Donaldson to a one-year, $23 million contract, and reuniting with longtime catcher Brian McCann on a one-year, $2 million deal. After a 90-win 2018, the defending division champions seem to have secured their spot as a top team in the National League. And that doesn’t mean they’re done yet. With former Blue Jays general manager Alex Anthopoulos at the helm, look for more action out of Atlanta. So there you have it. The calendar is flipping to December, and the baseball world is gearing up for what is sure to be an entertaining offseason. Don’t be alarmed, this slow start is normal. Things are about to heat up!